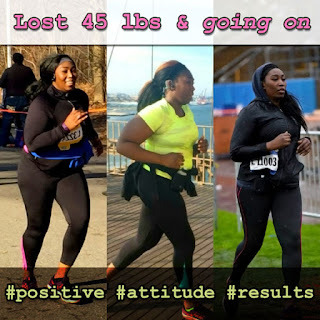 Keeping an eye on the target, she has been on her mark to reach her goal weight, having lost 45 pounds in 5 months and steadily moving ahead to the next level in her weight loss program. Motivation truly comes from within, make a mark inside yourself that you can do this and work hard to do it. It is ok to have your doubts — being realistic is important to maintaining proper perspective. Conversely being too idealistic works against you — it is ok to dream but if you are pessimistic it works against your motivating force. “… expectation and fantasy [differ … predicting] weight change in opposite directions. Optimistic expectations but negative fantasies favored weight loss. Subjects who displayed pessimistic expectations combined with positive fantasies had the poorest treatment outcome. Finally, expectation but not fantasy predicted program attendance. Focus on the reasons and motivating factors that drive you to want to lose weight. Dr Aron and the team at WeightLossNYC™ can guide you to getting motivated and staying on track to lose weight in their comprehensive medical weight loss program. Wadden, T. A., Foster, G. D., & Letizia, (1990). Long-term treatment of obesity with and without very-low-calorie diet. Manuscript submitted for publication. Weight Loss Pills: What Works?